This year's Monterey auction put on by RM Sotheby's is all about breaking records. 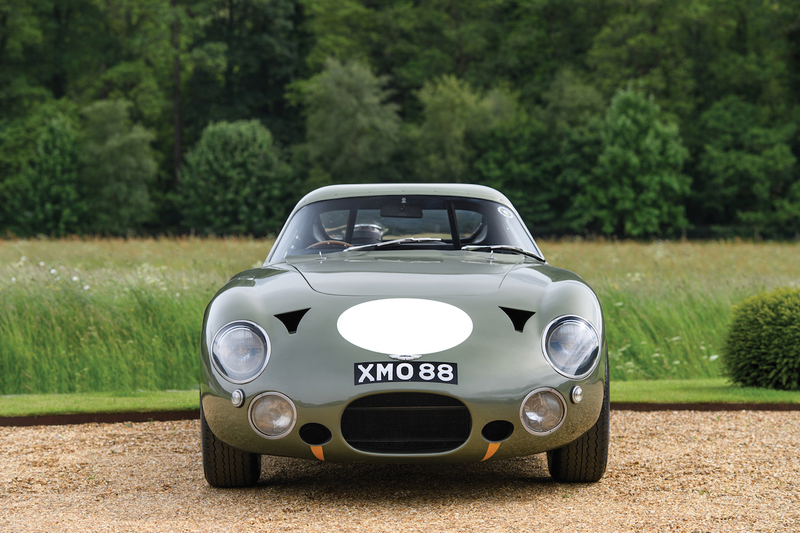 The list of big name, big money cars that will cross the auction block includes a Ferrari 250 GTO that may be the most expensive car ever sold at a public auction, and some other goodies that would make a classic motorsport enthusiast explode with excitement. 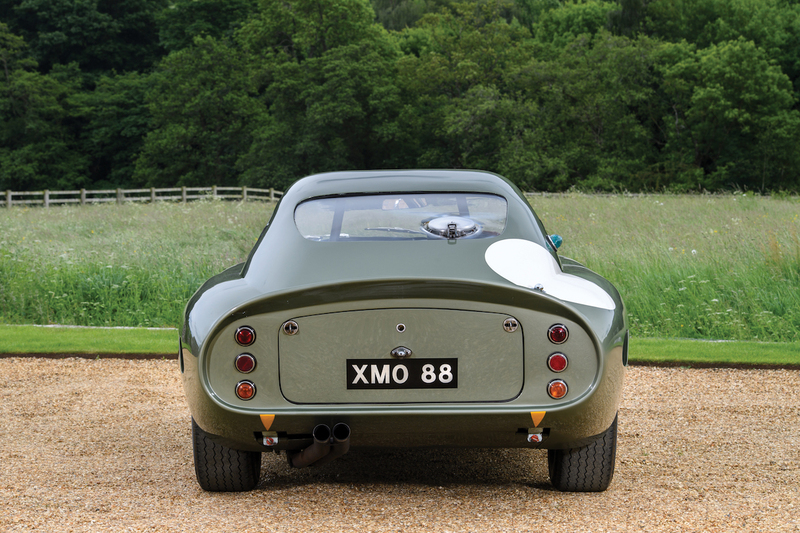 Although it's not nearly as much as the aforementioned Ferrari, a 1963 Aston Martin DP215 Grand Touring Works Prototype that's headed to the Monterey block may become the most expensive British car ever sold at auction. 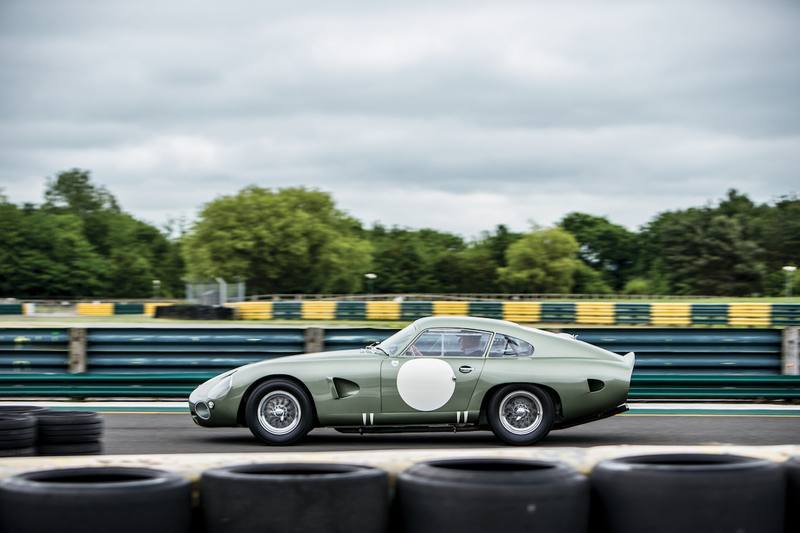 RM Sotheby's predicts that this Le Mans racer will sell for between $20 million and $25 million, and it will beat the record if it brings in more than $22.6 million, which is what a 1956 Aston Martin DBR1 sold for at last year's auction. This DP215 was the last and best car in the Development Project series of prototype racers headed by Aston Martin Lagonda boss David Brown. 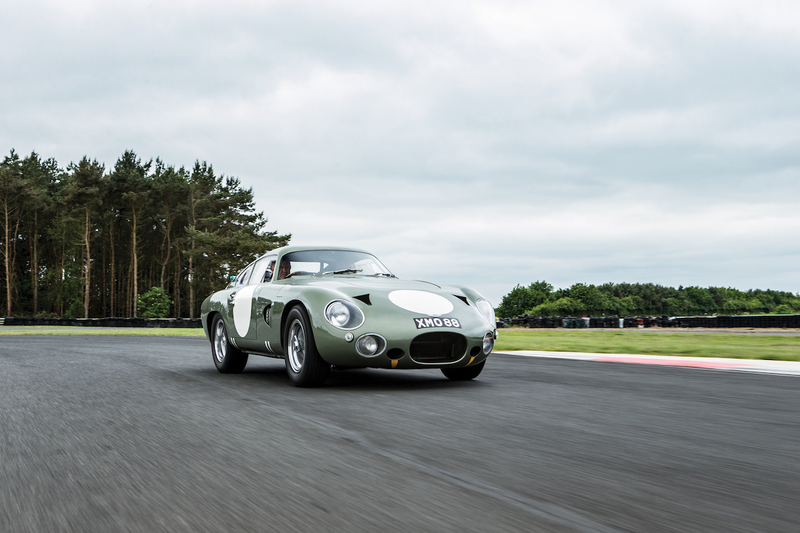 Lighter, more powerful, and more aerodynamic than the DP212 and DP214, the one-off DP215 is seen as the best race car Aston put out during the 1960s. It was entered in the Le Mans Prototype class in the 1963 24 Hours of Le Mans, alongside other DP cars in the GT class that were designed to take on the competing Ferrari 250s. With Phil Hill at the wheel, the DP215 was clocked at 198.6 mph on the Mulsanne Straight (before it was even finished accelerating), the first car to officially reach speeds faster than 300 kph (186 mph) at Le Mans. Unfortunately, both the DP215 and the other DP prototypes failed to finish thanks to gearbox problems. Two years after its Did Not Finish at Le Mans and again at 12 Hours of Reims, the unfortunate DP215 crashed while testing on the M1 motorway, hitting another car at 100 mph. Aston quietly sold the damaged car and powertrain separately, sweeping the illegal high-speed accident under the rug. 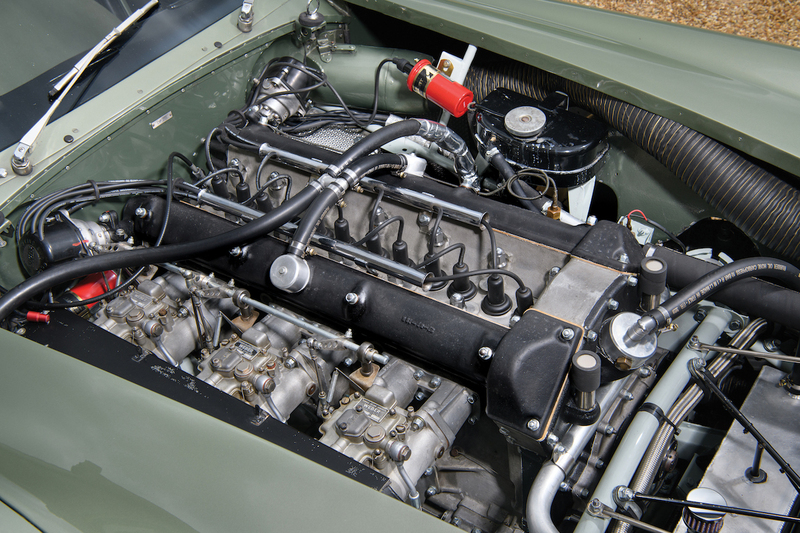 Miraculously, the car's list of owners over the years have managed to restore the car to its original specifications, sourcing the original 4.0-liter straight-six engine that was in the DP215 when Phil Hill raced it at Le Mans and then working with the car's designer Ted Cutting to produce a period-correct S432 four-speed transmission for it. 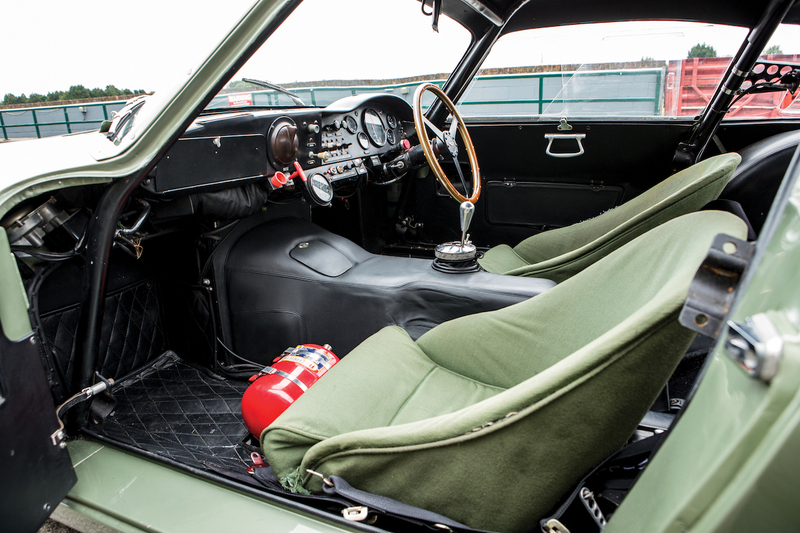 The current owners Neil and Nigel talk about the car's performance and restoration history in the video below. 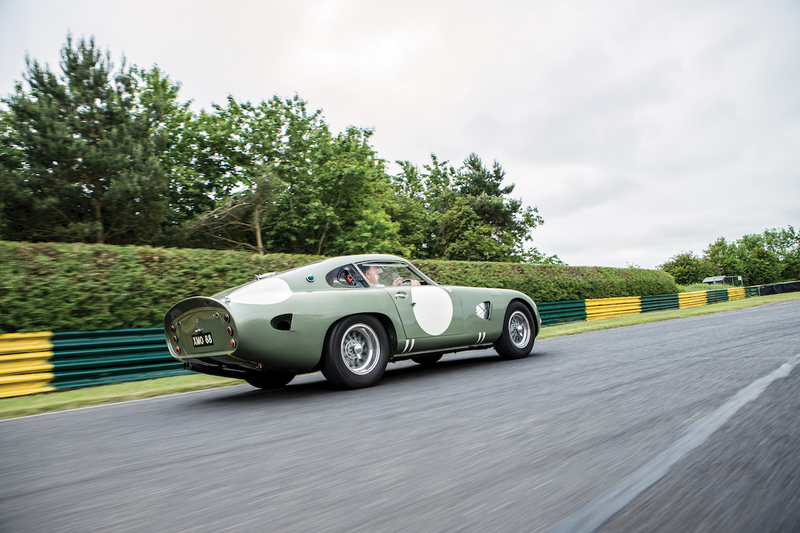 “The DP cars are completely one-off competition projects and are essentially on their own level when it comes to Aston Martin racing royalty," explained Alain Squindo, chief operating officer at RM Sotheby's. "DP215 is the pinnacle of the Works team’s racing development, and the new owner will acquire a car that is not only extraordinarily special but also more capable of running at the front of the pack than virtually any other racing car on the market." 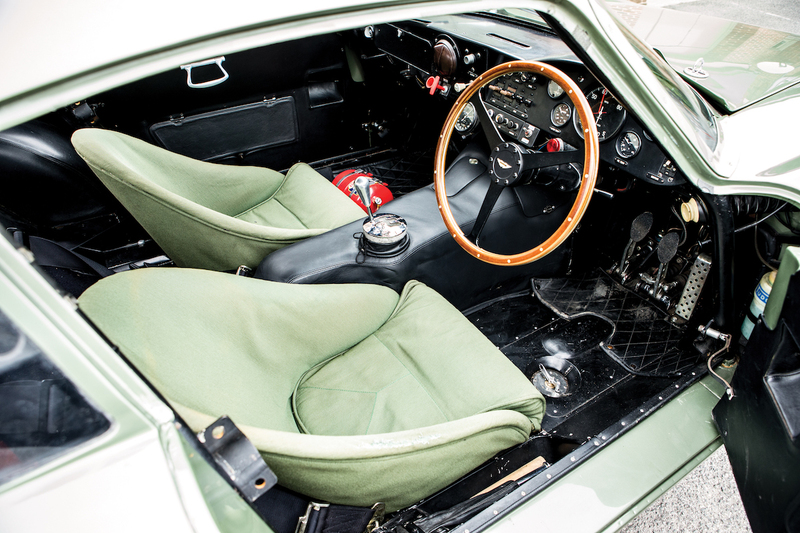 The DP215 and a couple of other rare Aston Martins, as well as other historic race cars we've covered, will be auctioned at RM Sotheby's Monterey sale Aug. 24, during Monterey Car Week. 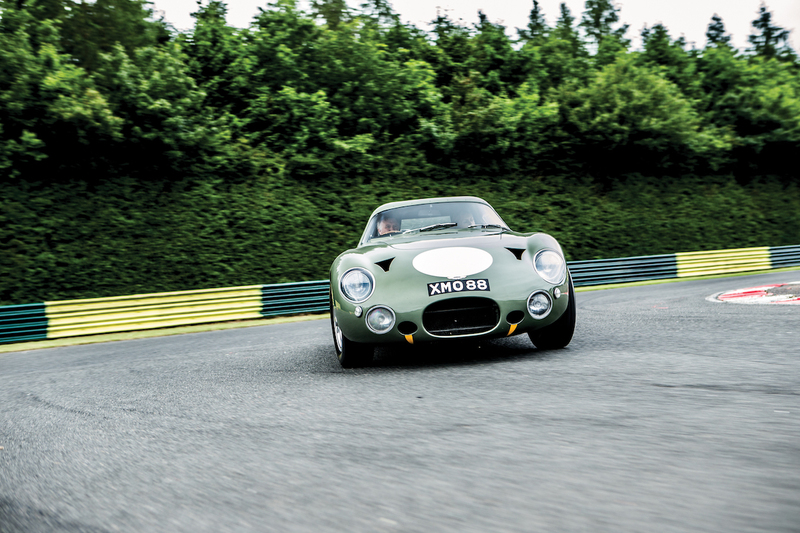 Even if it doesn't beat the DBR1's record, the car's sale will still be one for the history books. In the mean time, here are some photos to drool over. This incredibly rare Porsche prototype racer is going to take Monterey by storm.